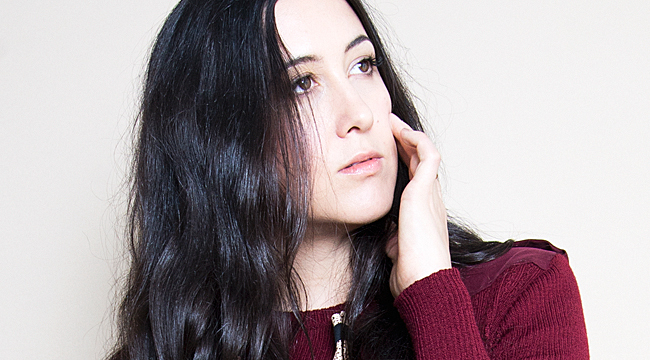 With her studio album, Liberman, singer-songwriter Vanessa Carlton takes a musical departure. The sparse album is a change of pace from the poppy material she’s written and recorded in the past. Fans were given a sneak peak of the new album with the EP Blue Pool, which included tracks “Take It Easy” and “Blue Pool.” Both of those songs are on the album, as well as “Operator (Live Living Room Session)” and “Nothing Where Something Used To Be (Live Living Room Session).” (The deluxe version of the album features a complete collection of Live Living Room Sessions.) We phoned Carlton at her Nashville home in advance of her tour. Talk about your background a bit. You started playing piano at an early age. Who was the first singer-songwriter that you really liked and admired? I was very into classical music when I was young. I was listening to the cassette tapes in my mom’s car—Aaron Copland and stuff like that. When I was really little I liked “Peter and the Wolf” and stuff like that. The rock ‘n’ roll stuff that I heard came from my father. That was more ‘70s rock like Fleetwood Mac, Pink Floyd and the Grateful Dead. You studied ballet, right? Did you pursue music while you were immersed in the ballet world? Ballet was my main goal. My mom urged me to continue music on the side. The ballet world is really hard. When I quit when I was 17, it was all I had. It was a real comfort to turn to music. It snowballed from there. I liked the idea of being able to make an album. Given that you struggled with depression, was music an outlet that served as therapy? For sure. I’ll encourage that in my daughter too. It’s not necessarily music. It’s whatever your kid gravitates toward that might be outside of the school curriculum. You have to let them have it. When you become a teenager and in your twenties, things become really hard. Life is so hard and it feels painful. Absolutely, music was a comfort. You moved from New York to Nashville to marry husband John McCauley (Deer Tick) and have a baby girl. Talk about how the songs relate to that experience and your current state of mind. Well, my timeline is weird. I made the majority of the record and the context was set before I even got married. I had met John when I was writing the record. I was about to go to England and start recording. All this happened later. I had to sit on it for a year. I did finish some songs when I was pregnant. It’s not a reflection of all of this change but it is a reflection of the state I was in. I was attracted to this development in my life. I was very chilled out. I was more observational. I wasn’t trying to force my hand on things. What triggered that state of mind? I was reading a lot of books but in particular, Joseph Campbell’s The Power of Myth. I love to hear him speak too. I was gravitating toward books like that and Rebecca Solnit’s A Field Guide to Getting Lost, which is also great. I guess it was just the next chapter for me as a woman and an artist in my early thirties. I’m living in New York and I had just met John. I was really solitary and peaceful. I was really content with my life. I was curious to move forward. That was the state I was in. I can’t say that’s a normal state for me. That was one of the first times I ever felt that way. I was 32 or 33. You recorded in both Nashville and London. What were the sessions like? I recorded with Steve Osborne at Real World Studios which is an hour from London. It’s very magical. It’s very Lord of the Rings for lack of a better description. There are three or four songs that I did in Nashville with Adam Landry. The others were done at Real World Studios. They’re very different environments, England and Tennessee. The album title comes from your grandfather’s name, Liberman. Was there a particular painting that you saw that inspired the name? It’s the only paining I have from his collection. He has many. My grandmother had a hard time sending it to me. It’s huge. She sent it to me in 2005. My piano was angled when I was writing this record I was staring at it the whole time. When my mom had told me this story about how her last name wasn’t her real last name. I thought it was Lee. My middle name is Lee. But that’s not really their last name. She told me the story of it. It’s a more authentic name for my family and I was inspired by the colors in his paintings. His paintings are really wild. He’s a classically trained oil painter. He makes these crazy choices with these colors. It’s a beautiful juxtaposition. That sums up the record. Do you think of it as a musical departure? I think this sound, which is its own thing, started when I met Steve Osborne. I was starting to really study music that made me feel different in a good way. I wanted to shed myself of that expectation to deliver pop songs. It took me years to reconcile my early success and allow myself to get back on a pure track in terms of inspiration. My journey was to find Steve Osborne. He’s a producer of New Order and Doves. It was mainly this Doves album. I wanted to find the man behind the sound. That was the beginning of this. I recorded Rabbits on the Run with him and I wasn’t done learning from him. I like “House of Seven Swords.” Was there something in particular that inspired the song? I wrote that for my brother. It was a couple of weeks before graduation. He wanted to move to the city. It was a really scary time. I never graduated from college. I stopped and started. My mom keeps reminding me of that to this day. It was a letter to him that things can be the way you want them to be. You build it yourself. You custom make your life. House of Seven Swords is this tarot card in my desk. I liked the artwork. I looked it up. It all fit in with the song. The card is many different things. One of the meanings is that each of us are many sides of a sword. You have to decide what side you want to be. This music has a simmering intensity to it. For your live show, how do you think it will mesh with the older tunes? That’s a good question. We haven’t figured it out yet. It sounds really different from the old stuff. You want it to feel pretty uniform. It should be a show that grows. It should feel like it comes from the same world. It all comes from me. The album is deceiving. It sounds like it would be easy to do live. There is so much in production. There are so many effects and things to achieve this meditation feeling. I’m going to tour with this guy who’s a madman who plays violin and makes all these different sounds. We can record on stage. You can create tracks while you’re up there. It’s a lot but we’ve done a good job of bringing the Liberman songs to life. I have a little more time to get things together. I won’t know until I start the tour, but I’m excited about it.